As an ultra marathon trail runner, I'm always looking for ways to refuel during my long training runs. 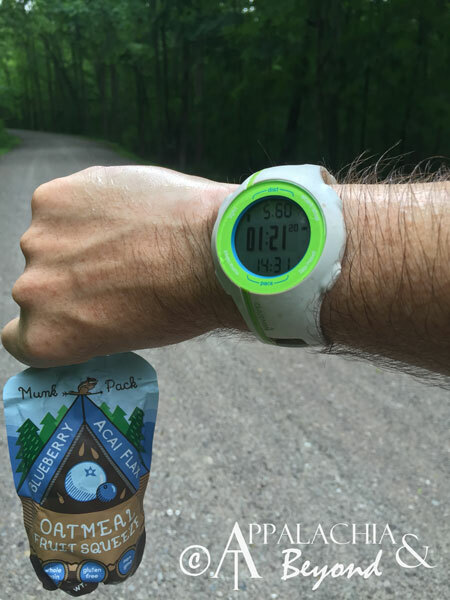 We're talking runs that are anywhere from 10 to 30 miles. I'm always trying new things during my training so that come race day, I have everything dialed in and I know that what I put in my body will cooperate under that kind of physical stress. 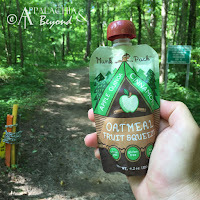 A month or more ago, the folks at Munk Pack asked if I'd like to give their squeezable oatmeal a spin. I jumped at the opportunity. It was something new to me. Usually it's either, waffles, gels, chews, or granola bars that get me through my long runs. 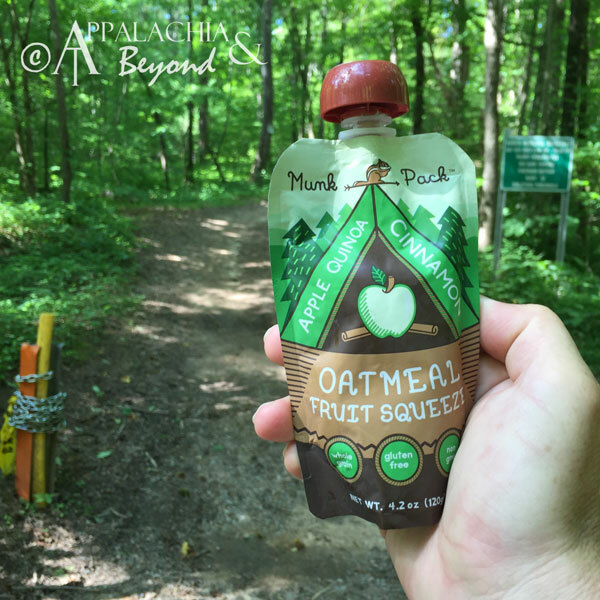 Having oatmeal on the trail sounds like a dream come true. It wasn't long before the squeezable pouches of heaven arrived on our doorstep. I was so excited to finally try them out, that I couldn't wait for my next long run. Unfortunately, I was in an off period for two weeks due to a rib injury. But once that two week period was over, you better believe I was out there and I had one of the Munk Pack oatmeals with me. It was a 10 miler so I only needed to have one with me. I took the Apple Cinnamon Quinoa and it was delish. It went down very easy too. That's a big thing for runners, especially endurance/long distance runners. 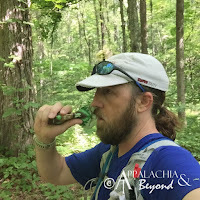 The longer you go, the harder it is to get food down, especially items like granola bars or protein bars. They take forever to chew and due to the hard work and breathing, you don't typically generate as much saliva (yeah I know, gross) to help in the process. With the squeezable oatmeal though, there was no issue in getting it down quickly. And it leaves such a small footprint in your pack too, folds up nice and small when you are done. As for the taste, like I said it was delicious, another thing when running. If it's not good you won't want to force it down. 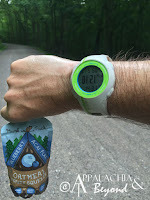 On my next long run I took the Blueberry Acai Flax Seed. Again, this one was very tasty and easy to go down. Second verse, same as the first, well mostly. My next run I brought the Raspberry Coconut and I have to be honest, I was a bit apprehensive with this flavor combo. Don't get me wrong, I love raspberries and I like coconut but I wasn't sure it was a flavor I could deal whilst running, but to my surprise, it was good and I had no problem putting it down while on the move. Overall, for a food option while out running the trails for hours at a time, this is a very viable option. Their are small, easy to pack, and pack a good deal of calories to keep you fueled along the way. So if you are in search of something that you can put down while "Out There", this is a definite go to for me. As an added bonus, they are all whole grain, gluten free (for those with sensitivity issues), non GMO and Vegan. Apple, Water, Gluten Free Oats, Apple Juice Concentrate, Ground Flax, Quinoa, Natural Apple Flavor, Cinnamon, Citric Acid, Ascorbic Acid (Vitamin C). Blueberry, Oatmeal (Water, Gluten Free Oats), Banana, Water, Apple, Apple Juice Concentrate, Ground Flax, Acai, Natural Blueberry Flavor, Citric Acid, Ascorbic Acid (Vitamin C). Raspberry, Banana, Oatmeal (Water, Gluten Free Oats), Water, Apple, Apple Juice Concentrate, Unsweetened Coconut Shreds, Ground Flax, Natural Raspberry Flavor, Citric Acid, Ascorbic Acid (Vitamin C). 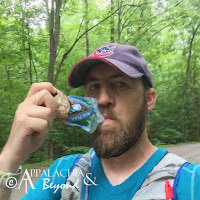 Disclaimer: Tim received the Munk Pack Squeezable Oatmeal from Munk Pack for review purposes only. Tim is not being compensated for this review. The opinions expressed above are Tim's independent thoughts and experiences.